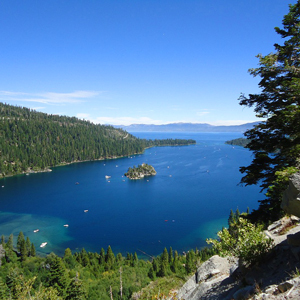 Description: This well-maintained trail connects DL Bliss State Park to Emerald Bay State Park offers spectacular views of Lake Tahoe. The terrain is relatively flat, making it a great hike for kids. Note that dogs are not allowed on this trail. 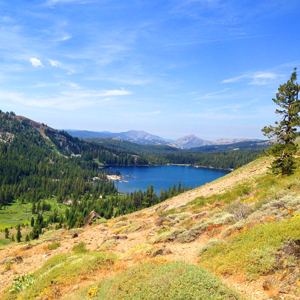 Description: This is a pleasant hike with a picturesque alpine lake setting. The trail starts out with great views of Eagle Falls and mountain terrain. 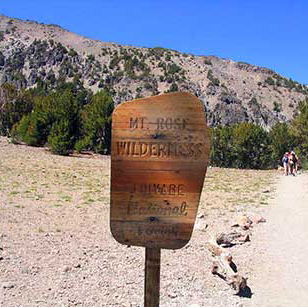 Description: Despite its 2,400 foot elevation gain, the hike to the summit of Mt Rose is relatively moderate and quite pleasant in the fall. After crossing Galena Creek the hike becomes a bit more challenging but it's well worth the views from the top. 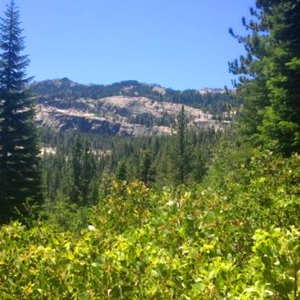 Description: This moderately difficult loop trail is a good mix of gentle grades with a few steep sections and offers great views of Donner Lake and surrounding peaks, as well as gorgeous wildflowers. 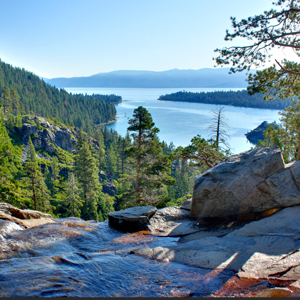 Description: This hike is a moderate climb upward through trees and beautiful meadows of wildflowers, along Cold Stream to the top of Mt Lola (the highest peak in the Tahoe National Forest). 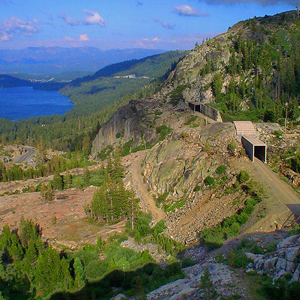 Stunning views of the Sierra Divide can be taken in from the summit. Description: This rather relaxing hike is short and sweet, perfect for a quick afternoon hike. It's a popular cross-country ski trail when the snow hits. 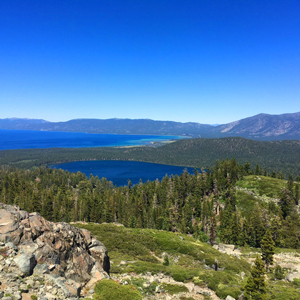 Description: Mt Tallac is Lake Tahoe’s highest peak and the summit is the very best spot to take in panoramic views of the Tahoe, Fallen Leaf Lake, Desolation Wilderness and surrounding peaks. It is a favorite among hikers. with terrain that is quite challenging in some areas, but well worth every strenuous step. 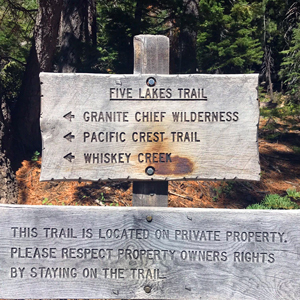 Description: The Five Lakes Trail is one of the easiest and most accessible hikes in the Granite Chief Wilderness, so it tends to be busy. 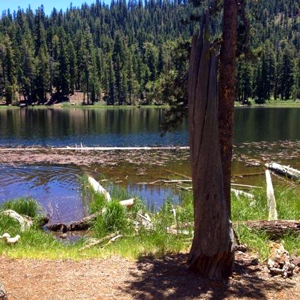 But don’t let that deter you from exploring the beautiful terrain and a relaxing lake. 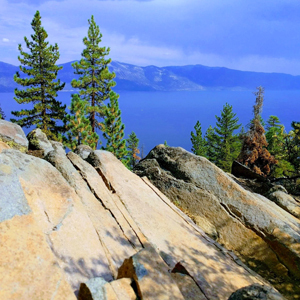 Description: Once a fire lookout, this short, easy hike offers beautiful views of Lake Tahoe. There are some side trails to explore, a granite patio, free telescopes and benches to enjoy the view, as well as a short self-guided nature trail located near the lookout.